Naturally fermented foods may help strengthen your gut microbiome which are basically the beneficial bacteria and microorganisms that live in your digestive tract. Gut microbes are now believed to be key to many aspects of human health including obesity, immune, metabolic and neuro-behavioural traits. Reseraches believe that fermented and probiotic foods are seen to improve immunity, aid in better digestion, prevention of allergies and also treating diarrhea. 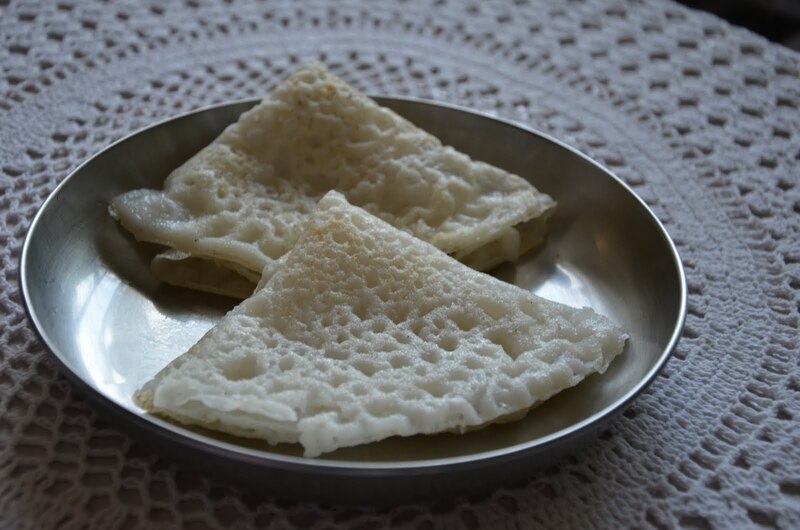 One such naturally fermented food that is commonly made in most South Indian homes regularly are idlis and dosas. 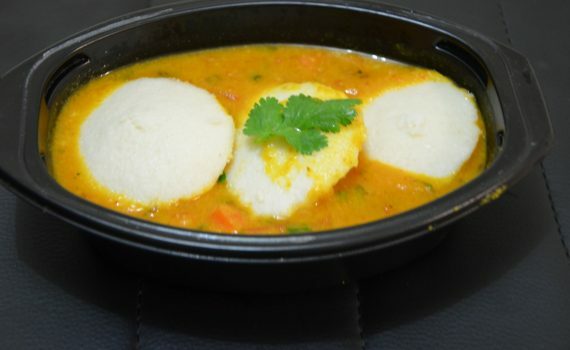 Who knew eating the humble idli (in moderation) could actually benefit your health? Curds/dahi/yogurt– a part of of a traditional meal in most Indian families, this contains live cultures. Fermented rice– called panta or poita bath(Assam, West Bengal,Tripura), pazhaiya choru(Kerala), pazhaya saadam (Tamil Nadu) is basically the extra cooked rice soaked in water overnight during which it ferments, and is eaten in the morning with buttermilk and garnish of onions, green chilies etc. Besides these there are many drinks/dishes that incorporate curds/buttermilk like kadhi, Rajasthani rabdi, Ragi ambli (Karnataka) and yeast fermented products like traditional naan and parottas. Coming back to the humble idli, what exactly happens when you ferment the idli batter?How does it become more nutritious? During the fermentation process the carbohydrates get converted into simpler sugars that are easier to digest. This is one of main reasons that it is given to babies and those who are sick. It also increases the bioavailablity of many vitamins and minerals such as iron, potassium and calcium and also increases the vitamin B content. It was seen that after 12 hours of fermentation of 100 grams of rice, the availability of iron changed from 3.4 mg to 73.91mg . Unlike other fermented foods which still have the live cultures, the steaming process will kill the live cultures but it still makes the idli more nutritious than plain rice and dal. Wash and soak the urad dal (without skin), idli rice and fenugreek seeds in water for 6-7 hours. Soak poha for 1/2 hour before grinding. Grind the urad dal with enough cold water to make a smooth, fluffy paste. Keep aside. Grind the idli rice along with the poha with enough water till you get a smooth paste. Now mix the rice batter with the urad dal batter. Add salt (if the weather is cold, avoid adding salt if the weather is hot) and mix it well to aerate the batter with enough air to aid in fermentation. Let it ferment overnight (if it’s cold, you can keep it inside the oven with the light of the oven switched on). 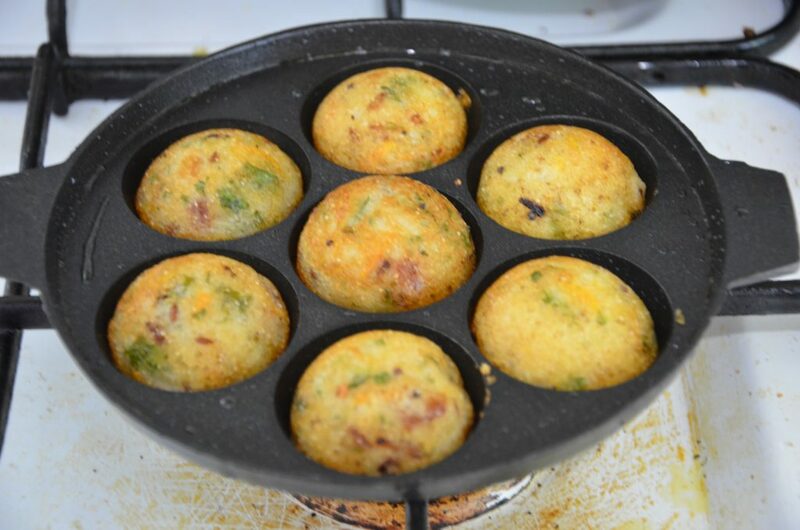 In the morning, mix the fermented batter well and grease the idli moulds. Boil water in a steamer, once water starts boiling, pour the batter into the greased moulds. Steam for 10-12 minutes or until it is cooked. Serve with sambar and chutney. This is a great recipe for those on a Gluten-Free diet. Heat the oil in a non-stick pan,then add the mustard, cumin and the channa dal. When the mustard starts to sputter,add the curry leaves and the cashew nuts and stir till the cashew nuts are brown. Add the ginger and fry till it turns a golden brown. Add the slit green chillies,the chopped onions,turmeric powder,salt and saute till the onions turn translucent. Add the coarsely mashed potatoes and mix well. Add 1/2 cup water and cook stirring continuously for 5-6 minutes. Set aside. Wash, then soak the raw rice, urad dal and fenugreek seeds in water for at least 4-6 hours. Drain the water used for soaking.Add the cooked rice (if using flattened rice-wash,drain and let it stand for at least 10-15 mins), and about a cup of water and grind to a fine paste (should be as thick as the pancake batter). Let it ferment overnight (or for 10-12 hours) in a big bowl(the batter will rise if the weather is warm enough). Once it has fermented,add salt and mix. Then pour a ladleful of the batter onto a HOT pan and spread the batter with the ladle in a circular motion(going from the centre of the pan to the outside). Add a little ghee/butter/oil to the edges of the dosa and let it cook till you notice it getting golden brown from underneath. At this stage, place the yellow potato filling at the centre of the dosa and fold from both sides (like a wrap) or you could also fold it from three sides(the resulting dosa would looks like a triangle). Remove from the pan.Serve hot with a little cilantro chutney and sambar . Warm weather is crucial for the batter to ferment. The pan needs to be really HOT before you start making the dosas. The dosas can be made without the potato filling too- then it would be known as ‘Plain Dosa’ (not as much fun as eating the ‘masala’ variety). Kori Rotti is another Mangalorean favourite. What makes it different is the crispy rotti. Kori means Chicken and the rotti is rice dosa that are dried and are hard like papad. We always bought the kori rotti from Mangalore stores when we were in India, and was overjoyed when I spotted it in the Indian Stores in the US. The chicken curry is a spicy coconut based gravy that is poured over the crisp rotti. The best way to eat this would be with your hands. I love my rotti to be slightly crunchy so I don’t let it sit in the gravy for too long, but some love it all soggy and soaked up in the gravy. Dry red chilies: 12 nos. First roast all the dry masala ingredients(dry chilies, coriander,methi,jeera,peppercorns) separately and keep aside. Then in a kadai, add the oil , once it is hot add the sliced onions, 3 cloves garlic and fry till the onions are slightly brown. Add the coconut and stir fry till the coconut starts turning brown (make sure to keep stirring, otherwise it will burn). Then switch off and let it cool. Grind all the ingredients (onions+coconut mixture) along with the roasted spices and the 2 cloves of garlic. Add little water and grind till you get a fine paste. Add some salt, turmeric and the ground masala paste to the chicken and let it marinate for 1/2 an hour. In a big vessel, add the oil and heat, add the methi seeds, sliced onions and saute till the onions turn pink. Add the coconut milk, tamarind paste and let it boil. Since we don’t have the traditional deep steel plates that holds the gravy, I prefer to eat this in bowls, but you can eat this on a regular plate. 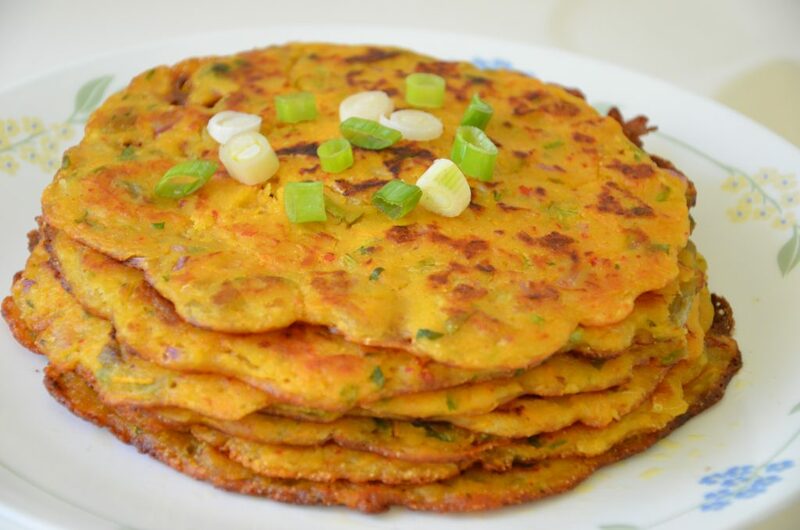 Break the rotti into bite sized pieces and place on the plate. Pour the chicken curry over the pieces. Let it soak or just dig in. It tends to get a little dry after the rotti has soaked up the gravy so you can top it with some more. Oats are rich in fibre, protein vitamin B1 and minerals like manganese, phosphorous, copper, selenium and zinc. It is made up of three types of starch mainly rapidly digested, slowly digested and resistant starch of which the resistant starch is important as it does not get digested and is seen to be beneficial to gut health. Oats is shown to be helpful in reducing cholesterol, increasing satiety as well as reducing constipation. 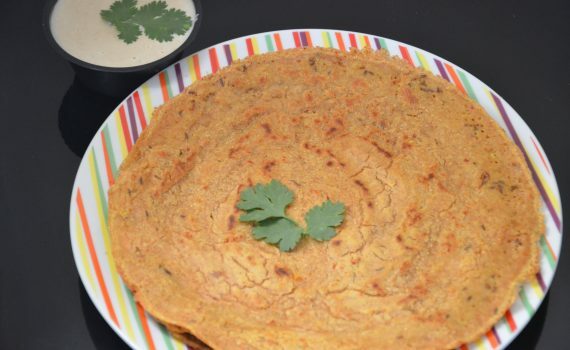 If a bowl of oats porridge isn’t your cup of tea, then try out this Oats Chilla or dosa recipe and you can still get the health benefits of oats. Wash and soak the dals for 4-5 hours. Then grind it together till you get a fine paste. In a big bowl whisk it with all the ingredients, add water and whisk again to make a smooth batter(add more water if the batter is too thick). Keep aside for at least 30 mins. Heat a tava, dip a cut onion in the oil and spread over the tava. Check if the tava is hot by sprinkling some water on top of it-if it sizzles, then the tava is ready. Take a ladleful of the batter into the centre of the tava and spread using the back of the ladle in circular movements, spreading the batter thinly over tha tava. Cover and cook for a few minutes over medium flame. Then remove the cover, add some oil to the sides of the dosa and cook till you see the dosa leaving the sides. Flip the dosa,add some oil and cook the dosa on the other sides for a few minutes. Flip back to the first side and let it cook again for a minute. Remove and serve hot with a spicy chutney. It’s mango season,and I just had to try something different.I tweaked this traditional Manglorean(a small seaside town in South India that my side of the family is originally from) Sweet Dosa recipe and added mangoes instead of cucumbers.As a kid,I grew up watching my mom and gran starting the next day’s breakfast preparations a day in advance.We always woke up smelling the wonderful aromas wafting from the kitchen. 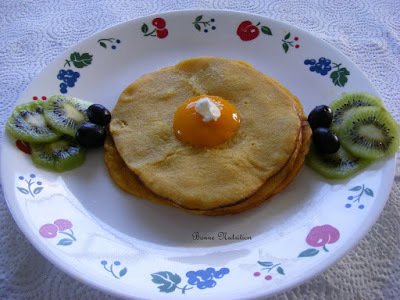 This recipe too is no exception,I had to soak the rice once we were done with breakfast,grind it in the evening and let it ferment overnight,and voila the batter for the next day’s breakfast was ready. Beaten rice/Rice flakes: ‘Poha’ is rice that is dehusked and then flattened into light flakes. Traditionally flattened with iron rods,it used to contain more iron than regular rice. 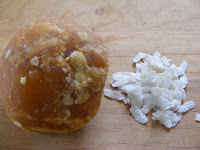 Jaggery: or ‘gur’,is a traditional non-refined sugar(made from either cane sugar or from date palm) which is rich in non-heme iron and other mineral salts. 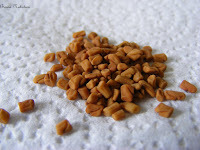 Fenugreek seeds: ‘Methi’ seeds as it’s commonly known in India, is a known galactagogue and recent studies have shown that it has cholesterol and serum glucose lowering properties as well. Wash the rice and the fenugreek seeds,then soak it in water for at least 6-7 hours. Wash and drain the flattened rice and let it stand for about 10-15 mins. Grind all ingredients(except the mango) till you get a fine batter.Let it ferment for at least 8-9 hours or overnight(works well in warm weather). The batter will double in volume. Make a puree of the mango pulp(when sugar is added to this pulp,it’s called ‘aamras’).If using cucumber instead of mangoes,then grate half (a big) cucumber and mix with the batter. Mix this puree with the batter and pour a ladle of the batter onto a hot non-stick pan and spread. Cover with a lid and cook on medium flame for two or three minutes. Then cook uncovered till the dosa is done. Serve hot(you can serve it with cut mangoes or even with some ‘aamras’). If the weather is not warm enough(as was the case when I made it),the batter will not ferment and the dosa will not get tiny little holes on it( the dosa will be flat as seen in the snap). The jaggery tends to add a brownish colour to the dosa(if you add sugar,the dosa will turn out a lovely yellow colour) but the dosas are more nutritious when made with jaggery. Traditionally the dosa is eaten hot with a little ghee spread on top. Since the dosas are sweet, you can eat it as it is. I used the Scarlet Sweet mango for this recipe,you could use any of the sweet mangoes available. Wash and soak the rice for 5-6 hours (you can soak it in the morning, then grind it in the evening). Grind it in a mixie along with the coconut and water till you get a smooth paste. Let it ferment overnight. In the morning add some salt, baking soda and some water and make it into a smooth batter. Cover and cook for about a minute. Uncover, add a little oil along the sides of the chatti/wok. Remove the appam (if you want it crisper, cook a little longer till the edges start browning) and serve along with stew (veg/chicken) or chutney or curry (chicken/ goat/ egg). Sandwiches (with 100% whole wheat breads)-you can use cheese, tofu, nut/peanut butter, guacamole, paneer, egg, vegetables or even fruit and cream cheese as the filling. Seasonal fresh fruits-cut them up in fun shapes/ sizes(use a melon scooper/cookie cutter), mix them in low-fat yogurt, make smoothies or plain fruit salads.Fruit and cheese kebabs are also a fancy way of serving fruits that kids will love. Fresh vegetables: cut them into strips and serve with dips like guacamole, hummus, peanut/almond butter. Boiled/Grilled corn: makes a tasty snack when served hot. Smoothie popsicles: You can pour their favourite smoothie into popsicle moulds and give that as a treat on a hot day. Steamed snacks: like idli’s/vegetable stuffed idlis, dhoklas, khandvi’s can be cut/decorated into fun shapes. Mini- rolls/burritos: whole wheat chapathis/rotis can be used to make rolls with egg/paneer/tofu burji(scrambled), rajma/ channa, mung(pulses/lentils) curry/usal or cheese spread. 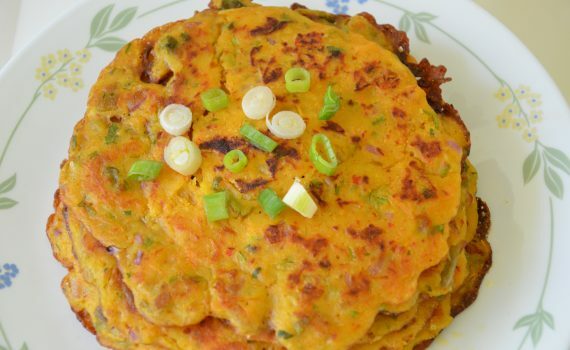 Tikkis/cutlets can be made with paneer/chicken/egg/lentils, mixed vegetables, and shallow fried or baked . These can also be served inside a pita bread or sandwich. 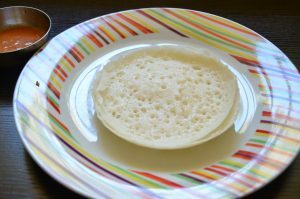 Mini/triangle/cone dosas/uttapams: these fun size/baby dosas can be more interesting for kids than the regular adult size ones. 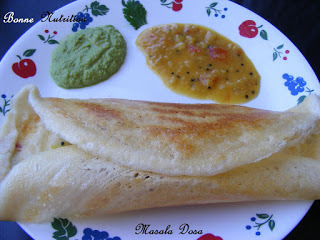 Serve them with chutney/ketchup/peanut butter (you can even draw a smiley face on the dosa with it)! 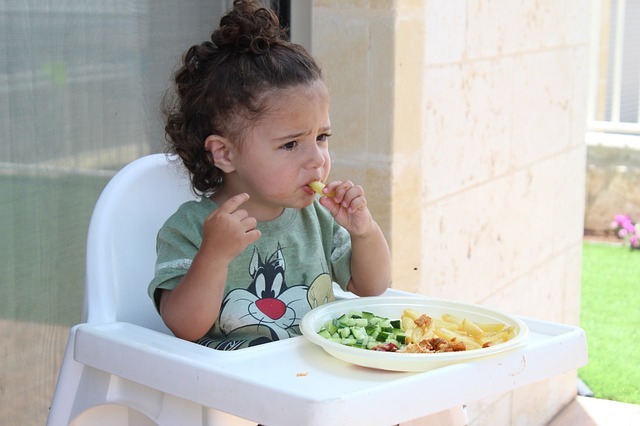 Nuts and dry-fruits: older children can be given a handful of mixed nuts and dry fruits. 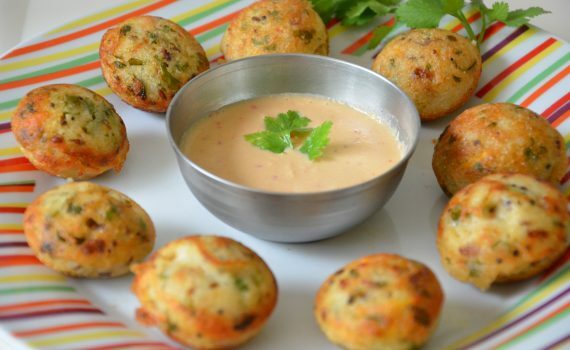 These snacks can be served with either a glass of milk/almond milk or some lassi/buttermilk. Make sure to serve these snacks at least two hours before meal times, otherwise they may not be hungry enough for it. 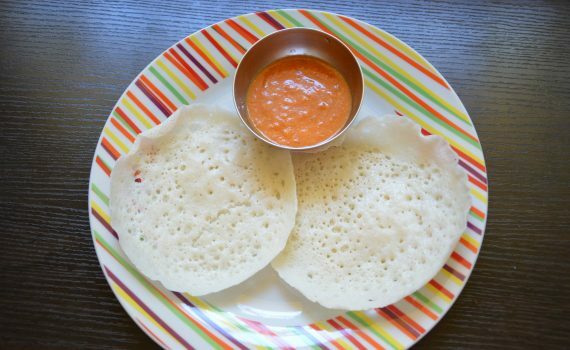 Neer Dosa (neer=water and dosa=crepe) is a no-ferment dosa which is a specialty of Manglorean cuisine. The name “Neer Dosa”is derived from the fact that the batter is almost of the consistency of water which is unlike other dosa batters. 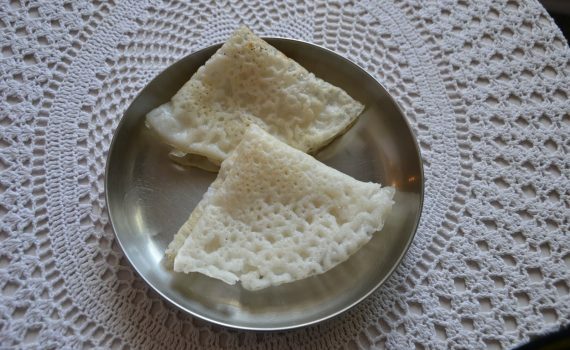 The resulting thin lace-like dosas (nick-named “lace dosas” by an aunt of mine) is eaten with relish in all Manglorean homes. Made from rice, the rice grains are soaked in water for about 2 hours, then ground to a fine thin(water-like) batter. Once the batter is ready it is poured onto a hot round iron griddle(most Manglorean houses have a separate griddle kept aside for neer dosas). The sizzle on the pan creates the craters or lace-like appearance. 1)Soak the rice in water for at least 2 hours. 2)Grind to a fine,thin consistency.Add a little salt and mix well. 3)Heat the iron griddle till it’s really,really hot. 4)Spread a little oil. Usually an onion is cut into half and dipped into the oil and used as a brush to spread the oil (this is believed to make the pan non-stick). 5)Pour a ladle full of batter into the center of the griddle and let it spread by itself (do not spread)on the griddle (add extra if needed where required to make a perfect circular dosa). 7)When done, remove the neer dosa gently with a spatula. 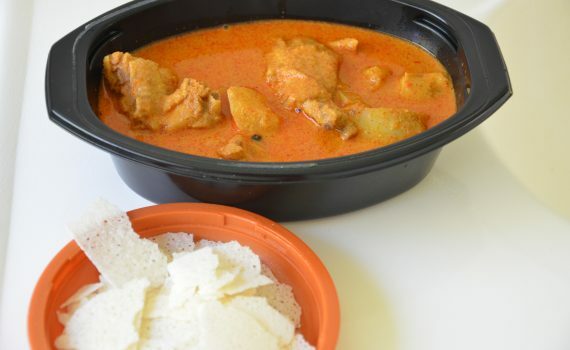 8)Serve the with neer dosa with chutney, honey or kori gussi (chicken curry).